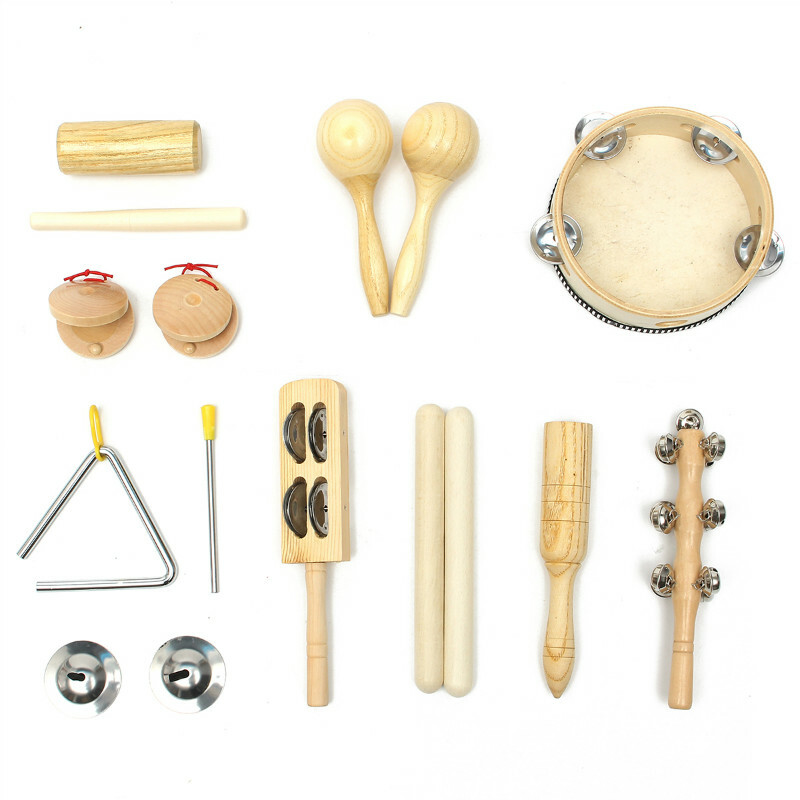 This percussion set has everything you need to get children playing music. This particular set contains 10 different instruments and an information booklet detailed how to get the most of the set. This a mini band in the box you wouldn't want to miss. Description: Material: Non-toxic PVCSize:24*5.2*3.3cmColor:Yellow Feature: 1. Great Decorations for all Musical,Rock and Roll,Hollywood Themed Parties2. Great value for Your Money3.